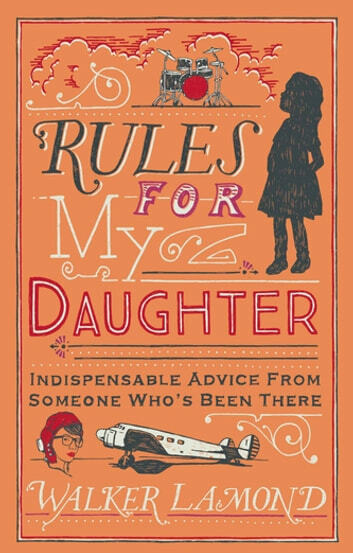 Rules For My Daughter is a collection of traditional, humorous, and urbane fatherly advice for young women and girls. From internet dating ("Never trust a profile pic") to the practical ("The right friends will appreciate a well timed burp. Your grandmother will not.") to aiming high ("There's more to life than Being a passenger." Amelia Earhart), this endearing book of rules and quotations is the quintessential instruction manual for becoming a confident and industrious young woman. 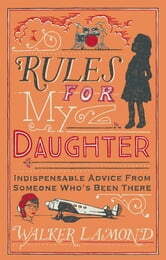 Hip and witty with a decidedly traditionalist flavour, Rules For My Daughter is meant to evoke simpler times when father knew best and a suitable answer to "Why?" was "Because I said so." Based on the hit blog and presented as a beautifully designed hardback, there is no better gift to celebrate the special relationship between father and daughter.